By taking part on a voluntary School Sports project in Kenya you can help teach children and young adults the importance of sport and inspire the next generation of sporting talent. You can volunteer on a sports coaching project in Kenya without any previous experience, although it is fantastic if you already have some. Volunteers are welcome no matter what stage of life they are at - during a gap year from education or a career break or even as an alternative holiday. All we ask is that you have a passion for sport and a desire to help others develop their own sporting ability. Kenyans are very keen on sports and you will often find young children kicking a ball around in their school playground or running around outside. Even though football is the most popular sport in Kenya, you can get involved with a range of different school sports including netball and volleyball. Children are really keen to participate in a wide variety of sports so feel free to come up with new ideas. 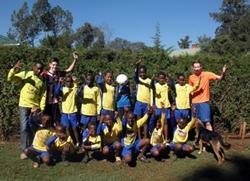 School Sports volunteers work in primary schools and drop-in centres in and around the town of Nanyuki. 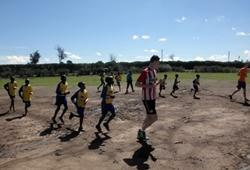 As a volunteer you will be working throughout the school term teaching sports in local schools. In the morning you will usually help with basic physical education lessons ensuring that each student gets involved in a diverse range of activities both individually and as part of a team. You will be working with students of all ages depending on when their physical education lessons take place. In the afternoons, the work will involve coaching teams of school children of different levels (beginners, intermediate and advanced) with the long term goal of preparing the students to take part in local tournaments. You may find yourself working in several different schools during your stay depending on the timetable in each school. Helping to involve children and teenagers in sports in Kenya means that they become fitter and healthier, as well as giving them a sense of belonging to a team with a shared passion and goal. This in turn has positive benefits for the wider society by engaging many of the youth in sports outside of school, which can keep them away from less wholesome activities, and give them vital structure and purpose. The school holidays in Kenya take place in April, August, November and December, so during this time more of the work will focus on the drop-in centres. Here volunteers work with children aged from 5 up to teenagers. You can join the School Sports project in Kenya for two or three weeks if you don't have time to join us for four weeks or more. This project has been selected by our local colleagues as being suitable for short term volunteering for both the host community and the volunteer. Although you will gain a valuable cultural insight and work intensely within the local community, please be aware that you may not be able to make the same impact as someone volunteering for a longer period.